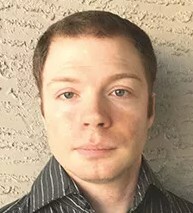 Examine.com has a new, enchanting perspective on nutrition and supplementation, and a magical course that will teach you all our deepest secrets. NOTE: This was just an April Fools' joke for 2019. Examine.com turned 8 last month, and the past year has been our best yet; we have new articles, a new guide, a new look, and a brand new outlook on what we do. This new outlook started to take hold around a year ago when we reported on a promising new supplement made from potent hand-picked cherries. We were blown away by the incredible research. The entire Examine.com team decided to try this supplement, and the results have been truly astounding. We experienced mood-enhancing benefits and a remarkable increase in our productivity, with our research and analyses taking less than 10% of the time they usually do! One night, while editing blog posts under the energizing influence of three bottles of FactShield™, our chosen cherry extract, our glorious leader Kamal was contacted by a strange, barefoot man wearing blue robes. The man said he had watched from afar for some time, seen Kamal’s growing mastery of cherry-picking, and wished to teach him a new type of woocraft: arcane hand-waving. 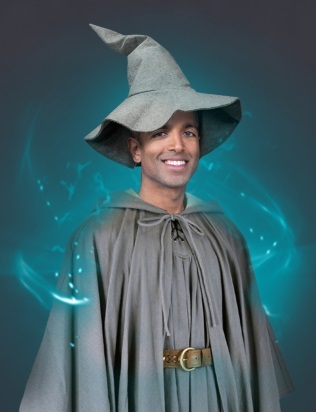 Kamal was transported to a large castle where he learned magical secrets from a cabal of powerful wizards. When he returned, a few minutes later, he shared those secrets with the rest of us. 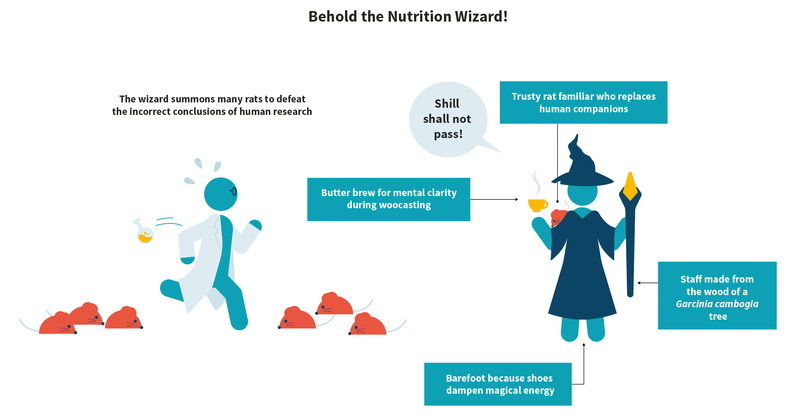 We became nutrition wizards, tasked with battling the Dark One, who doesn’t want YOU to know the TRUTH, and his army of well-funded minions: The Ones Who Disagree! For the last few months, we have been secretly dabbling in magical wisdom and spells, applying them to nutrition. Now, in order to educate the unwashed masses and help fight the Dark One, we have decided to share our Knowledge with all of our readers. What’s most remarkable is that learning to be a health wizard doesn’t take years at a freaky, monster-ridden boarding school; it’s possible to learn all you need in a two-week online course! Introducing: The Examine.com School of Woocraft and Wizardry. With gleaming recommendations like that, why wait? Sign up for the course today and we’ll throw in a bottle of FactShield™ cherry extract to heighten your connection to the Woosource.